Exped Adventure offer mountain expeditions and treks off the beaten track and always adventurous! 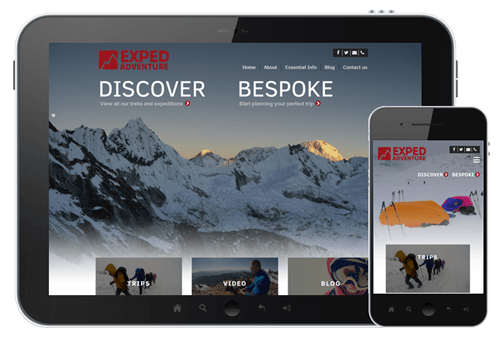 We revamped Exped Adventure’s website with a redesign and additional functionality. The site now utilises more imagery and video to market the treks and expeditions. The site uses a clean, visual design and offers a clear navigation to package tours or bespoke treks. Development in functionality includes a newsletter subscription and a download PDF pop-up, both these items help build on the client’s customer database.